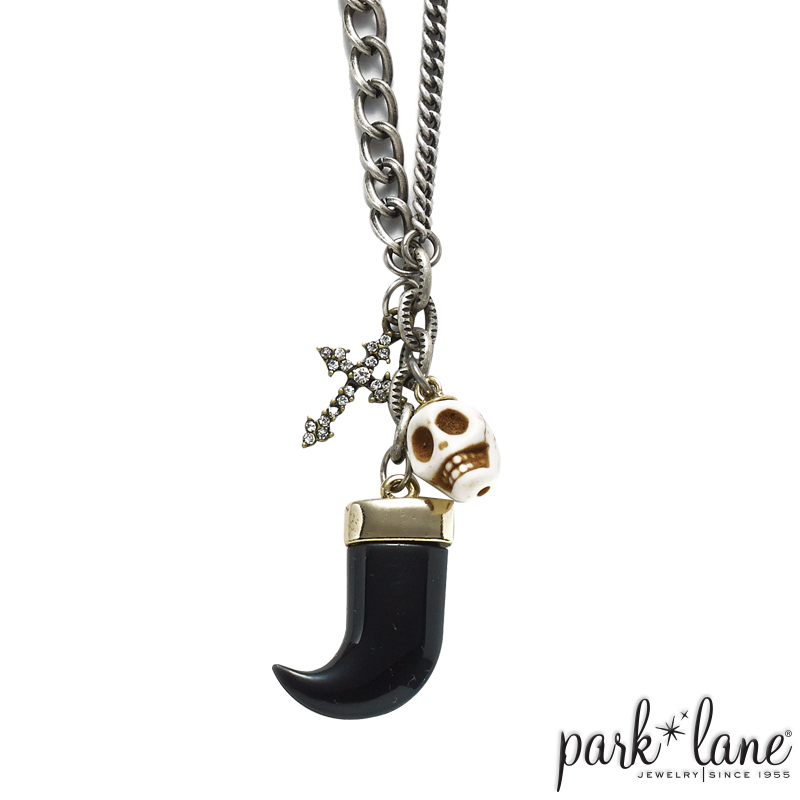 Suspended from its burnished silver chain, you’ll find mini charms… a crystal-embellished cross, an onyx horn, and a mini skeleton skull. 24”+3”ext. For men or women.